Every month my friends and I have a themed dinner night. We draw two cards out of a bag full of different themes and this month was Seafood and Your Favorite Color. My favorite color is purple, so here is this recipe. 1. 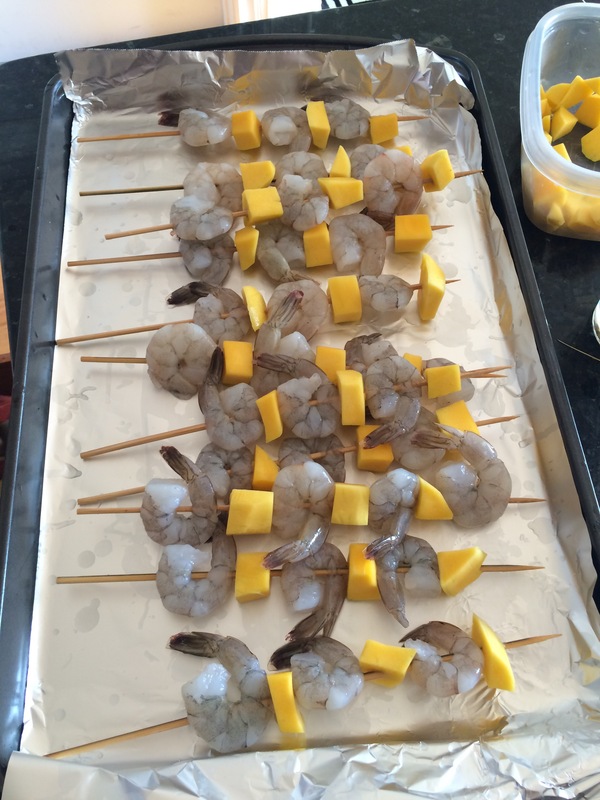 Alternate Shrimp and Mango on a soaked skewer and lay on a cookie sheet. Pat the skewers dry. 3. In a bowl, combine blackberry jam, soy sauce, garlic and Sriracha into a bowl and brush on skewers on both slides. Save any left over sauce and place in a saucepan. 4. 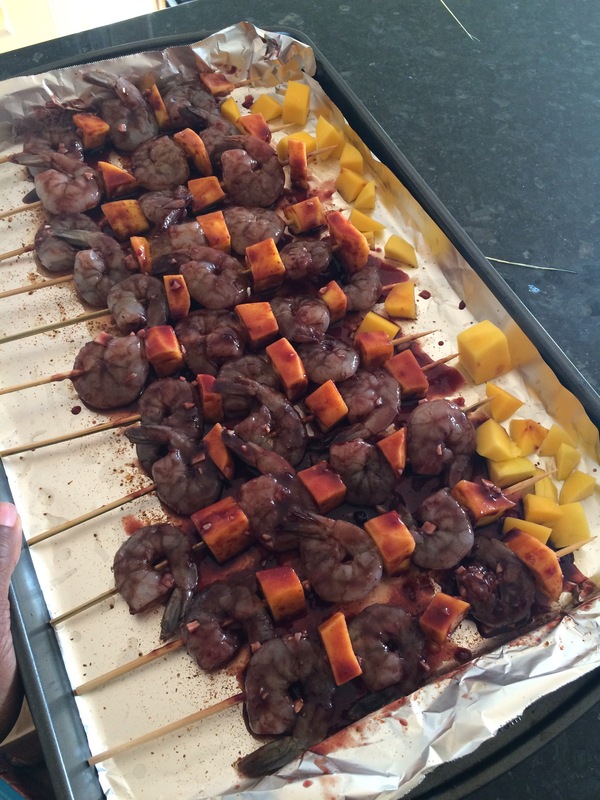 Broil skewers on high for 4-5 minutes on each side. 5. While the skewers are cooking, reduce the remaining sauce in a pan on medium heat until it thickens. 6. 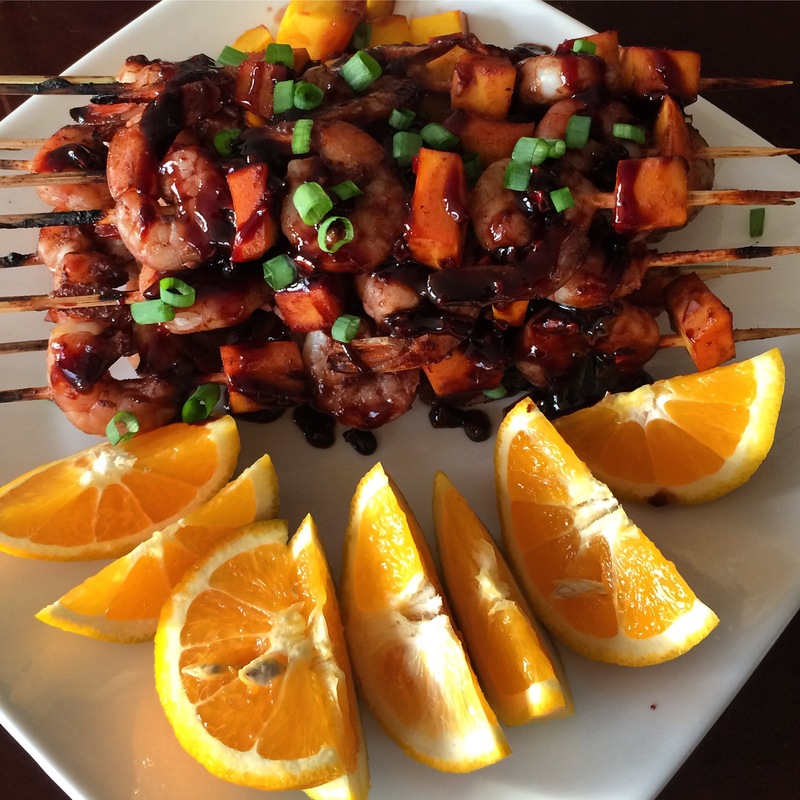 Once skewers are done, drizzle the thickened sauce over the skewers and top with green onions and serve with orange slices. 7. 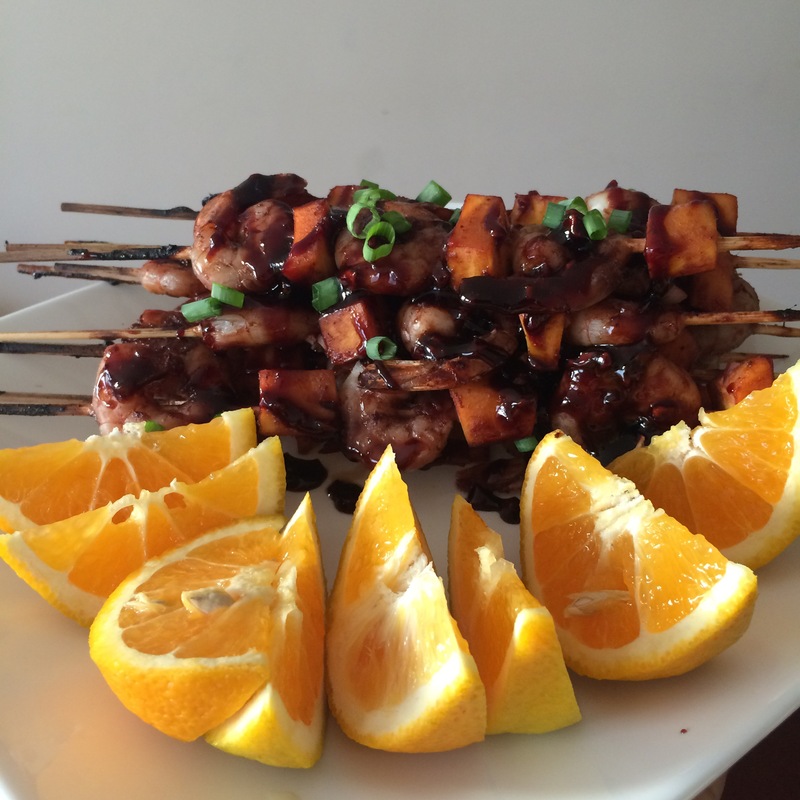 Squeeze orange slices over the skewers and enjoy! I saved the leftovers and combined with brown rice for a tasty and healthy lunch.